His presence is with us no matter where we are. Recently Growthtrac founder Jim Mueller met up with Jesus Culture worship leaders Chris Quilala and Kim Walker-Smith before a performance at Chicago’s House of Blues. Here’s what they had to say about their music, their ministry, and their marriages. Jim Mueller: What do you both expect from performing in a venue like the House of Blues instead of a church? 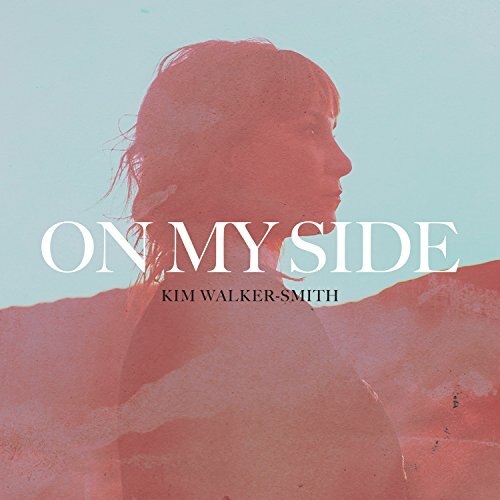 Kim Walker-Smith: Worshiping in a venue such as House of Blues is special because it reminds us that God’s presence is not meant to be contained within the walls of a church. God doesn’t only reside within a church building—his presence is with us no matter where we are. It feels powerful being in a place like this. Often we’ll hear testimonies of people who work at the venue or at the bar who encounter Jesus. And isn’t that what the Christian life is—taking the presence of Jesus out there to a world that is hungry for him? Every night on this tour I’ve sensed deep healing happening in people’s hearts. That’s something we pray for, it’s something I felt God wanted to accomplish on this Jesus Culture tour. We look out at the faces in the audience, and we see so many people singing the songs and worshiping, but we also see lots of tears and hear testimonies about what God is doing in people. What we expect is for God to show up—and for people to encounter him. Tell me a little bit about your albums. Kim: On My Side is an album filled with songs that came out of a journey I was on with the Lord, a journey of deep healing. It’s unique in that it was done in the studio, whereas my other albums were done live. So it was fun to do something different from what I normally do. 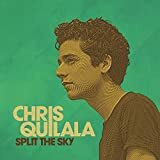 Chris: A lot of the songs on Split the Sky came about after my wife, Alyssa, and I lost our son, Jethro, three years ago. These were songs I had to sing, things I had to declare—about experiencing the kindness of God but also experiencing questions and grief. It was a way to remind myself of who God was and who I was in God. The album title came from the song “After My Heart,” with its verse, “he split the sky to meet me here.” What an amazing picture of God moving heaven and earth to meet with us. That concept—God’s kindness and love—carries over to the rest of the album. God will move heaven and earth to meet with us. To demonstrate his love to us. And I’ve encountered that love . . .
How has the loss of your son impacted your worship and your marriage? Chris: We have older friends who lost a child who say it’s something that never really goes away. Even in the delivery room, when no heartbeat was found, Alyssa and I were believing for a miracle. But when that didn’t happen, as we held Jethro, we began to worship. And I believe because we chose to believe God is still good and kind and faithful—even though we didn’t understand why we had lost our son—it kept our hearts soft toward God. God’s not afraid of our pain or our questions, and Scripture is very clear that the enemy came to kill, steal, and destroy. So I would say that because we chose to worship and believe God is good, we’ve experienced the goodness and kindness of God through it all. We’ve been able to hold onto that truth—that God’s with us, that he sent a Comforter for a reason. It’s definitely been a journey, but we’ve felt God’s goodness through it all. We’ve found joy in the midst of pain. I feel hope for this nation and for my generation. If I would encourage anybody about what God is doing, it would be that God is still moving, he still reigns, and the best is yet to come for the Church and for the world. Elaborate a bit . . .
Chris: I remember my kids wondering why their brother hadn’t come home from the hospital. We were in shock and confused and we could see our two daughters didn’t understand it, but when we told them what had happened, they believed without doubt that Jethro was in heaven. The simple faith our girls Ella and Aria showed us reminded us that even though we didn’t understand why Jethro wasn’t with us, we’ll see him again one day. And that hope has carried us through. Seeing our girls navigating this with their limited understanding brought us joy. I can honestly say we felt joy in the midst of experiencing what might be the hardest thing we’ll ever walk through. The Holy Spirit came as the Comforter, and we felt that in a real way. Chris: Ella’s seven, Aria’s four, and Liv was born ten months after we lost Jethro. I want my three children to understand that worship is—that when we pour our love out on God, he pours it back on us. What do you want your children to learn about worship? Chris: On this tour, Kim ends her set with her song “Throne Room,” and I’ve experienced this. No matter what I’m going through, if I turn my heart and my affections toward God, if I run to his throne room, he’s always there. If I turn my heart to him, he’ll always respond. So even at their young age, I want my kids to know that. Anything they’re going through, they can bring before the Father. They have a Father they can run to and trust. We see in Scripture how when the apostle Paul and Silas worshiped in prison in their chains, God showed up in an earthquake. Their chains fell off and the prison doors opened. It’s an amazing thing when we worship—God shows up. My wife and I are trying our best to help our children see the power in worship and praise, no matter what they’re going through. Kim: I want my three children to understand that worship is—that when we pour our love out on God, he pours it back on us. Whether my kids become singers or musicians isn’t as important to me as that they love Jesus and know how much he loves them. That’s what I as a parent want to teach them—that God loves them, and that they experience this love. I want to set an example of what it looks like to love God in return. What is a priority in your marriage? Kim: Jesus was the perfect example of leadership. He was the ultimate servant. I think the kind of humility Jesus modeled—that willingness to serve each other—needs to be my heart and my husband’s heart. Chris: We’re eight years into marriage and it’s been busy, with all we’ve walked through, especially with losing our son, Jethro. We’ve had to navigate a lot, so every decision, everything we face daily, we try to say, What is God saying in this? We don’t want to make a move without the Holy Spirit. What protective hedges have you put around your marriages? Kim: I am really blessed that my husband, Skyler, travels with me. So he’s always with me when I’m traveling, which is great. As far as accountability on the road, Jesus Culture founder Banning Liebscher has been a great example in our lives as far as checking in and staying connected. We’re like a family who looks out for each other. For example, one time my husband and I took a group of young guys we worked with on the road with us when we traveled outside of Jesus Culture. One of them was newly married. We were at a venue, and I saw him suddenly hugging this girl and getting really close to her. I thought, What is going on? So I walked right over there and said, “Drew, who is this? What are you doing?” And he started laughing and said, “This is my sister!” I hadn’t met her before. We look out for each other in that way. I didn’t feel nervous in any way about going up and saying that. Chris: For my wife and me, it is having open communication. My wife doesn’t travel with me hardly ever so she’ll ask me questions such as, “How are you doing with your eyes?” It’s about having those hard, honest conversations. I remember one time my wife told me there was an old friend messaging her on Facebook, but then the conversation kept going, so she started to feel uncomfortable, weird. We’ve always had that open communication. We know we can say, “Hey. I’m struggling.” I can come to my wife and talk to her, and she can talk to me. It’s a safe place. I’m gone all the time, so we need to have that to safeguard our marriage. What do you hear God saying more broadly to you and Jesus Culture these days? Chris: I feel as though it’s easy to be distracted by everything going on in the world today. But I’m constantly reminded of God’s goodness and faithfulness, and that he’s still in control over this city, over this nation, over this world. He’s still God. It’s so easy to be thrown or let fear sink in. A lot of tragic things are happening, but God is with us. And because of that, I feel hope for this nation and for my generation. If I would encourage anybody about what God is doing, it would be that God is still moving, he still reigns, and the best is yet to come for the Church and for the world. Copyright © 2017 Growthtrac Ministries. All rights reserved.